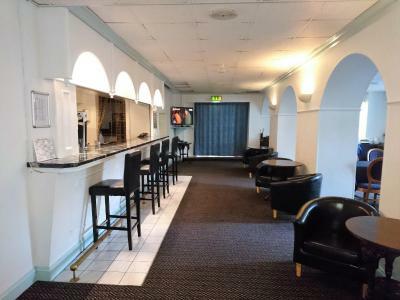 Lock in a great price for Sarum Hotel – rated 8.1 by recent guests! My room was bigger than I thought (double room) with kitchenette, tv lots of storage space for clothes etc, was lovely for a short stay, and as I was visiting my Daughter was only there to sleep. Very good value for what I needed. Only the location was okay, everything else was disappointing to say the least! The manager, Cristina, was very welcoming and helpful. She did all she could to make our stay perfect. 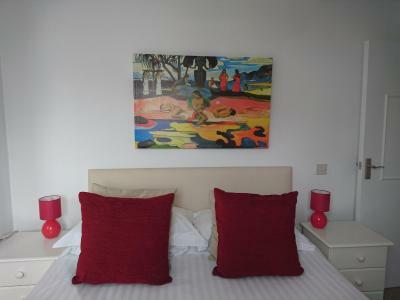 The room was big and cosy: comfortable beds, possibility of self-catering and well-located hotel. I keep the address! Location was good. Rooms were comfortable. Staff friendly. They have kitchen in rooms. That helps you cook your own food instead of relying on junk food. 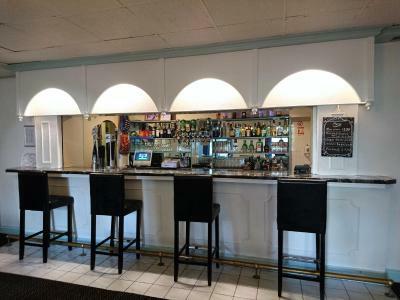 Offering a bar and free WiFi access throughout the property, Sarum Hotel is located in Saint Helier, Jersey. 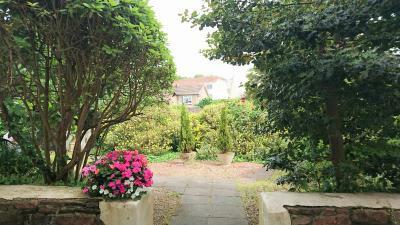 Just a 7-minute stroll from the seafront, Jersey Opera House is also an 8-minute walk away. 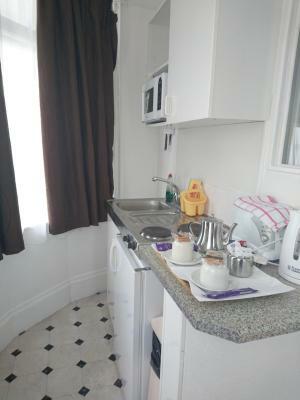 Each room features a mini kitchenette, a TV and work desk. Featuring a shower, the private bathrooms also come with a bath and a hairdryer. Suites feature a fully equipped kitchen. 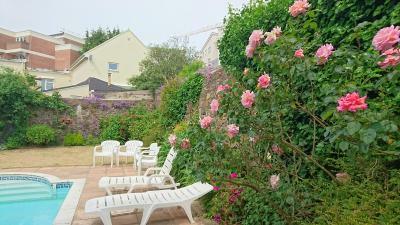 At Sarum Hotel there is a spacious garden and barbecue facilities. 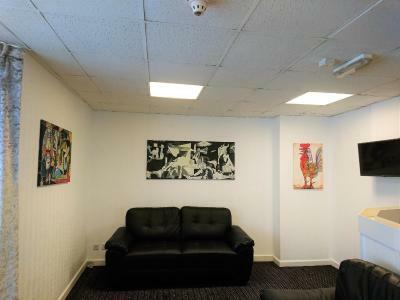 Other facilities offered at the property include a shared TV lounge, a games room and luggage storage. 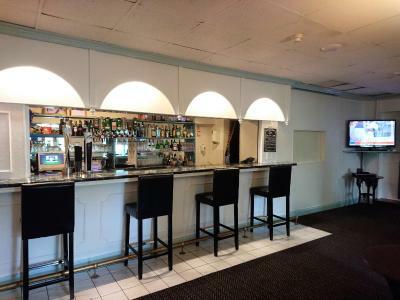 The bar offers a selection of beers, wines and spirits. From the property, Jersey Museum is a 14-minute walk away and Elizabeth Ferry Terminal is 1.1 miles away. Jersey Airport is 4.3 miles away. When would you like to stay at Sarum Hotel? All rooms have cooking facilities, an private bathroom (some with shower only some with bath and shower), TV, work desk and a hairdryer. 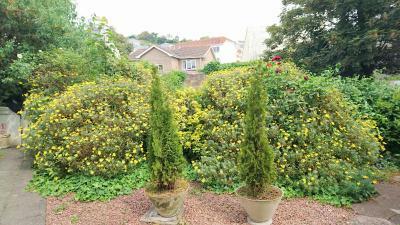 Private parking is available on site (reservation is needed) and costs GBP 7 per day. 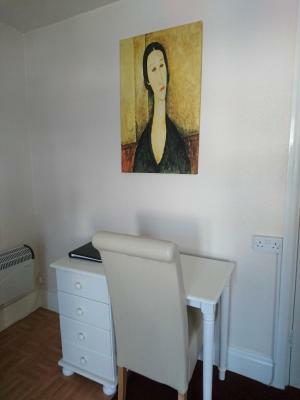 This double room features a TV, a work desk and a mini kitchenette. Featuring a shower, the private bathrooms also come with a bath and a hairdryer. This twin room has a TV, a work desk and a mini kitchenette. Featuring a shower, the private bathrooms also come with a bath and a hairdryer. This family room is made up of a twin room and a small single bedroom, or a double room and a single room. Please specify your bedding preference when booking. There is an private bathroom and a mini kitchenette. This suite has a balcony, a TV, an electric kettle and dining table with chairs. Featuring a shower, the private bathrooms also come with a bath and a hairdryer. It also benefits from a kitchen with a microwave, a refrigerator and spacious oven. This suite sleeps a maximum of 3 people, or 2 adults and a child. Please note there is a double bedroom and an extendable sofa bed in the lounge. This suite features a dining area, private entrance and seating area. There is a TV, a work desk and an electric kettle. Featuring a shower, the private bathrooms also come with a bath and a hairdryer. It also benefits from a kitchen with a microwave and a refrigerator. 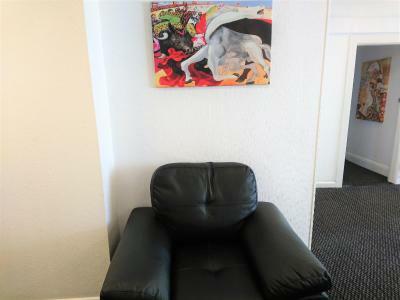 There is 1 double bedroom and 1 extendable sofa bed in the living room. Please specify if bed linen will be required for the sofa bed. This suite sleeps a maximum of 4 people, or 2 adults and 2 children. 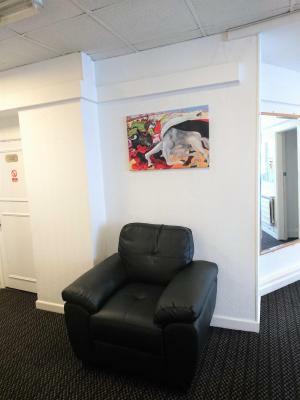 This suite features a TV, a work desk and an electric kettle. Featuring a shower, the private bathrooms also come with a bath and a hairdryer. It also benefits from a kitchen with a microwave, a refrigerator and 2 ovens. 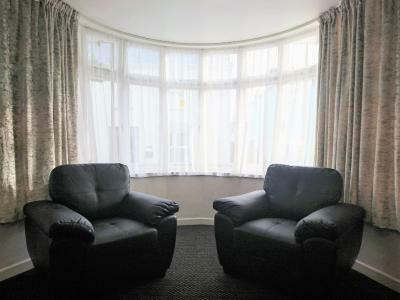 There is 1 double bedroom and 1 extendable sofa bed in the living room. Please specify if bed linen will be required for the sofa bed. High chair is available on request. This suite has a TV, a dining table with chairs and an electric kettle. 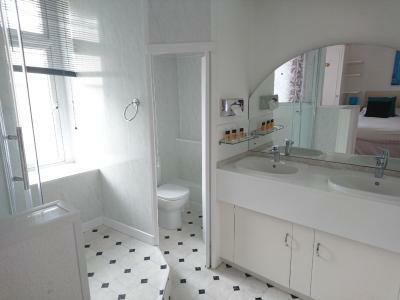 The en suite has a shower and WC. It also benefits from a kitchen with a microwave and a refrigerator. There is 1 extendable sofa bed. Please indicate if sofa will be used and if bed linen will be required. 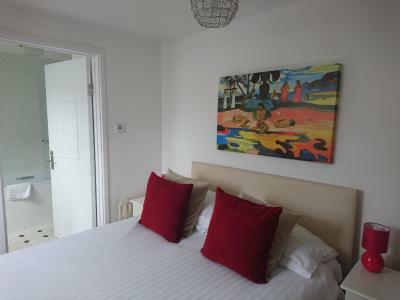 - A double bed, 2 single beds and a sofa bed. - Or 2 double beds plus a sofa bed. - Or 2 sets of twin beds and a sofa bed. 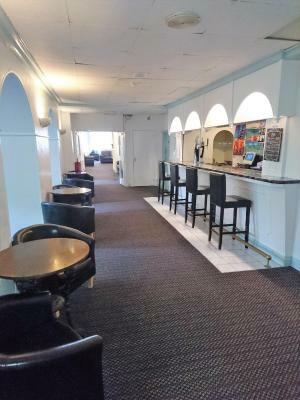 House Rules Sarum Hotel takes special requests – add in the next step! Sarum Hotel accepts these cards and reserves the right to temporarily hold an amount prior to arrival. Not family oriented in bar area at late evenings and bad language appeared acceptable. List of or directions to a selection of supermarkets would have helped. Were there bus timetables in reception? The rush to get a car parking spot. A list of alternative parking arrangements would have helped. Horrible experience for my family and the baby. The lift was out of service, they were doing some cleaning work outside the room the whole day with loud machinery going on and the stairs were wet and slippery (as I climb down with the baby and the pram). one radiator was out of service, the hob wasn't working - despite that they didn't offer any breakfast. whats more, the staff on duty doesn't speak English well. More than enough to ruin a family's Christmas plan. We were told parking was available. It wasn’t, and St. Helier is not easy for parking. Either remove the parking reference from the details, or make sure it’s available. Clean with a good, central location.